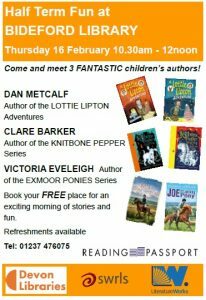 A new event has been added to my events page – I’ll be in Bideford Library on Thursday 16th Feb from 10:30 with superstart authors Claire Barker and Victoria Eveleigh. 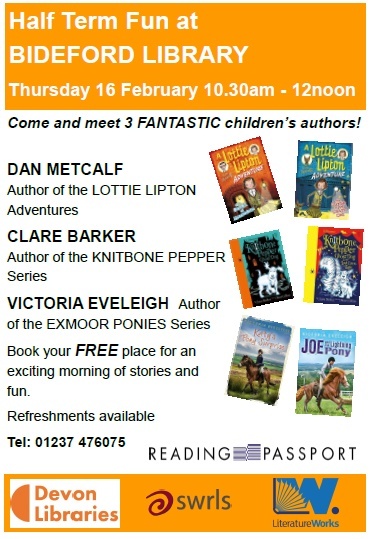 Come along, one and all! ‹ Visits and NEW BOOK!